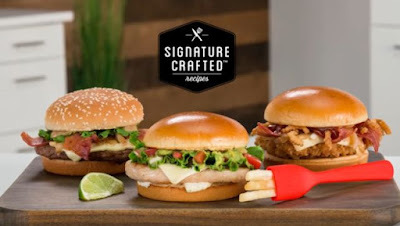 McDonald's Debuts New Signature Crafted Recipes Sandwiches and a "Frork"
Similar to "The Straw" that they came up with to promote the Chocolate Shamrock Shake earlier this year, McDonald's launches new Signature Crafted Recipes sandwiches along with a fry-fork combination utensil that they're calling the "Frork." The idea is that the Frork, which is a silicone somewhat fork-shaped utensil topped with an opening which is meant to hold three or four of McDonald's fries, can pick (or wick) up any of the toppings that fall out of the new burgers/sandwiches. If you happen to think that's pretty useless, the tagline McDonald's has attached to the Frork is "Uselessly Useful." The new Signature Crafted Recipes sandwiches menu features three different recipes and a choice of protein and bun for each recipe. - Pico Guacamole - Guacamole, pico de gallo, leaf lettuce, and buttermilk ranch sauce plus a fresh lime wedge on the side. - Sweet BBQ Bacon - Grilled onions, thick-cut applewood-smoked bacon, white cheddar, BBQ sauce, and crispy onions. - Maple Bacon Dijon - Grilled onions, thick-cut applewood-smoked bacon with sweet maple seasoning, leaf lettuce, and a creamy Dijon sauce. 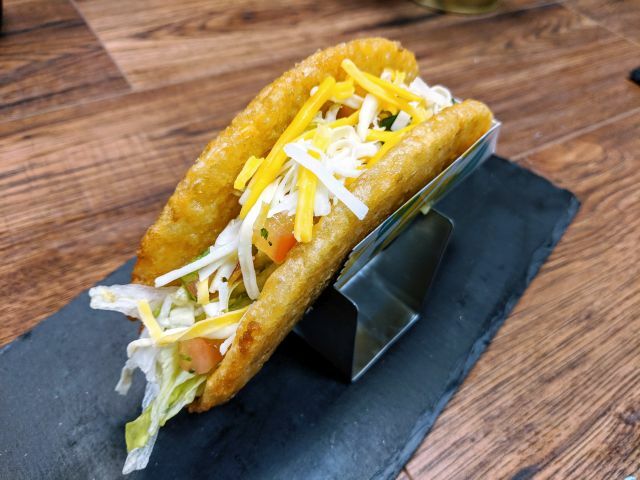 Protein choices include buttermilk crispy chicken, grilled chicken, or a quarter pound beef patty while bun choices are either sesame seed or artisan bun. Prices range from $4.99 to $5.19 at participating locations (may vary). They were spotted testing several iterations of the concept in recent years (see here and here). The Pico Guacamole and Maple Bacon Dijon were trialed here in Southern California since early last year (you can find my review of the Pico Guacamole here and Maple Bacon Dijon here). As to how you can get your very own Frork, select locations nationwide will be giving them out with the purchase of a Signature Crafted Recipes sandwich on May 5, 2017, while supplies last. You can call 1-844-MCD-FRORK (1-844-623-3767) or visit http://www.mcdfrork.com to find the nearest participating location. Additionally, from May 4 to May 8, you can get a free medium order of fries and a soft drink with the purchase of one of the new sandwiches at participating locations.